Analyze and compare the performance of two Facebook Pages. 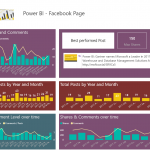 Check out this live report that compares between the Facebook Pages of Power BI and Tableau. 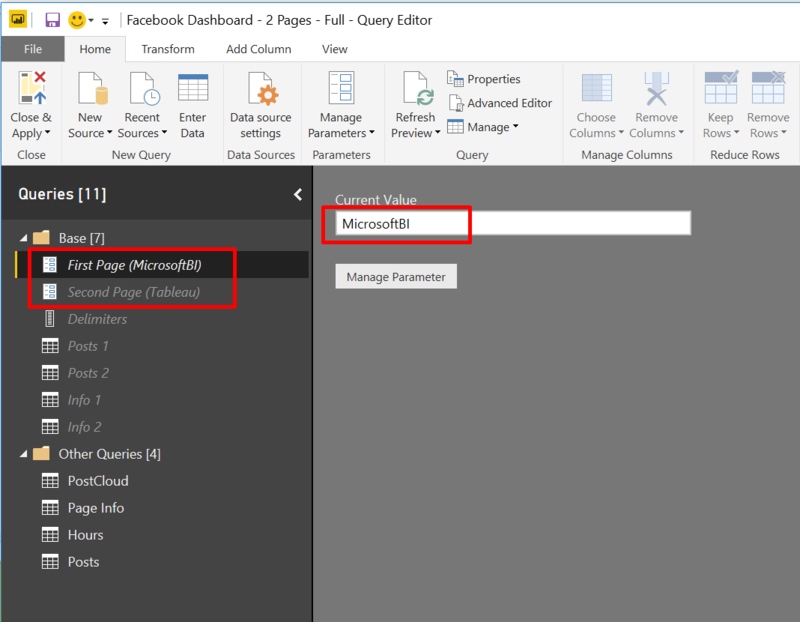 You can easily modify the query to analyze ANY two Facebook pages, which means that you don’t need to be the page admin – Just pick any page you wish to analyze. 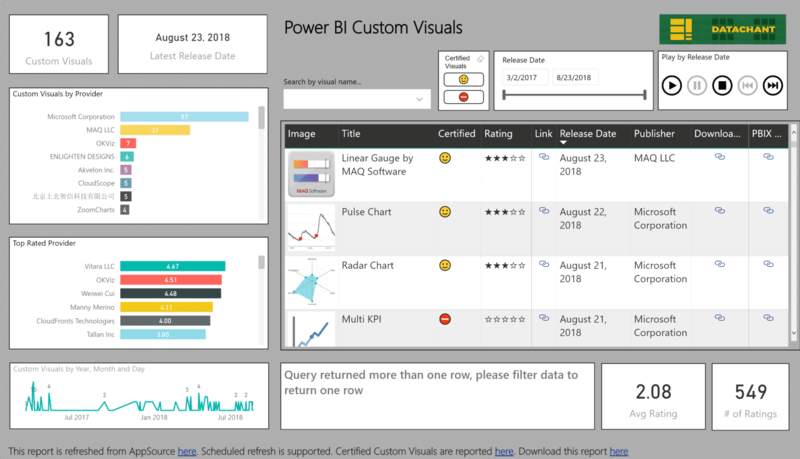 The paid reports can be scheduled for auto-refreshed on Power BI.com (More instructions below). 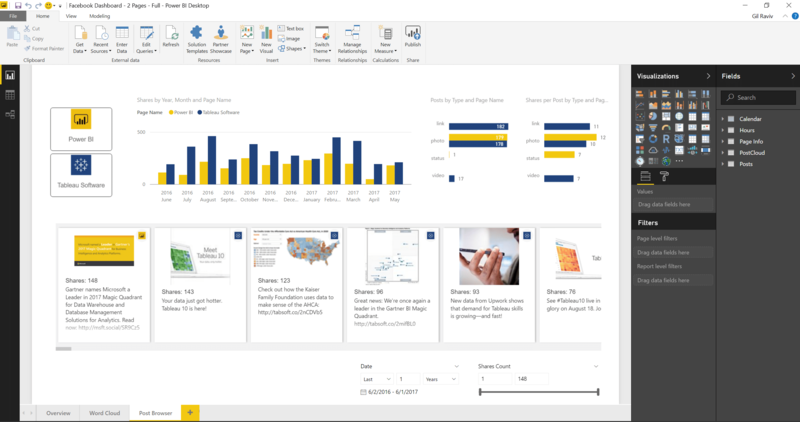 In the full version you have two additional report pages, that allow you to explore the posts in stunning new ways. 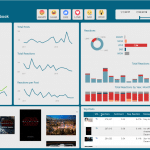 Analyze ANY two Facebook pages. You don’t need to be the administrator of these pages. 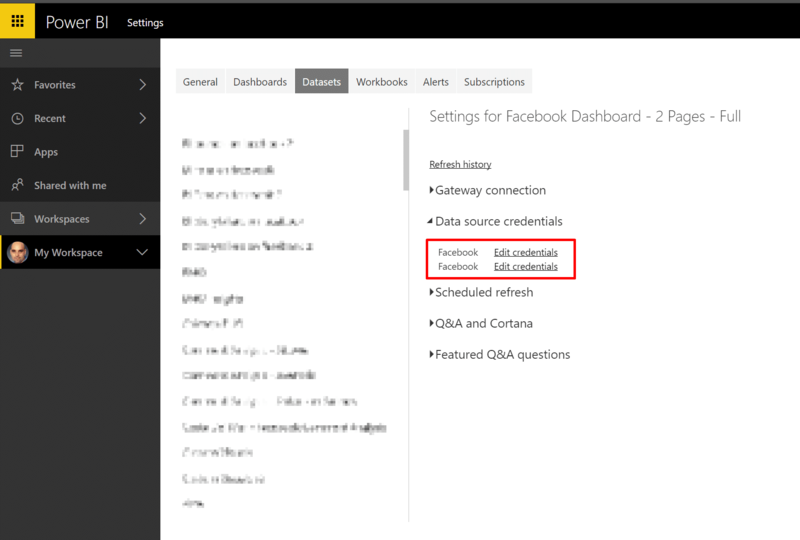 Just set the page Facebook name (e.g. 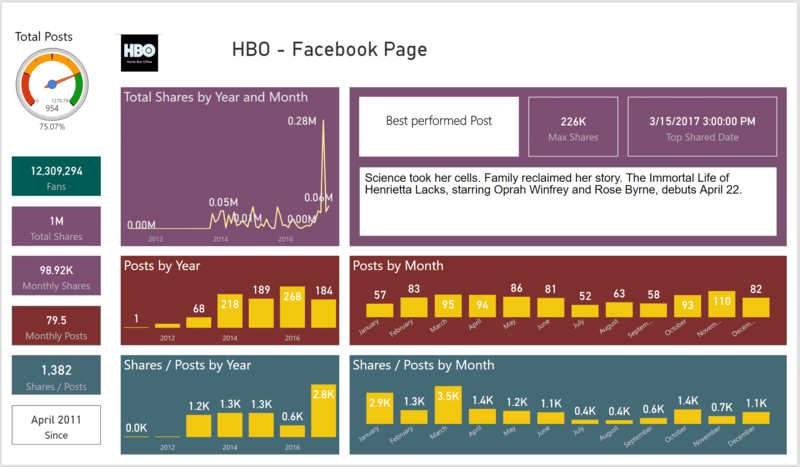 HBO, as found in https://facebook.com/HBO), and the report will load the page’s data. 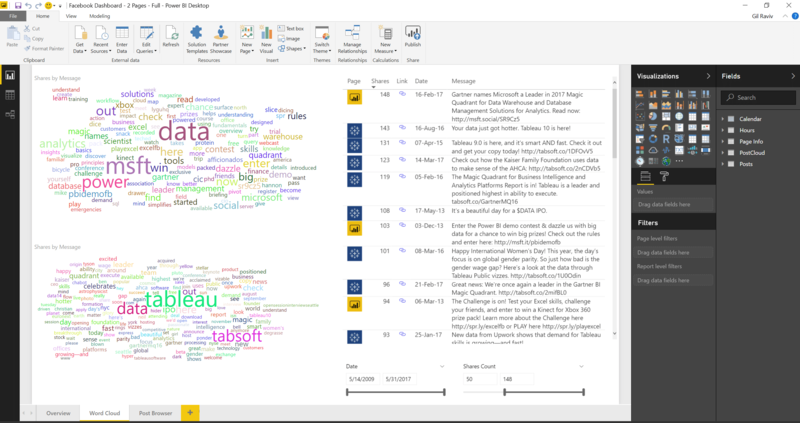 Find and analyze the number of shares per page’s fan. Find the most effective keywords (In full version). Explore the posts in a stunning new ways (In full version). Enjoy a quick refresh, while the report loads ALL posts. 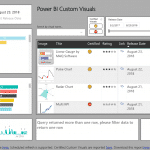 Unzip the .pbix file, and open it with the latest Power BI Desktop. 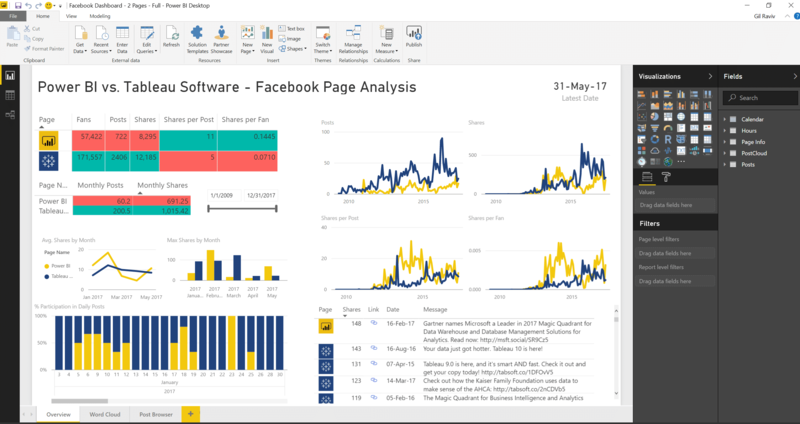 Explore the current report, that compares the engagement/performance of Power BI and Tableau Facebook Pages. 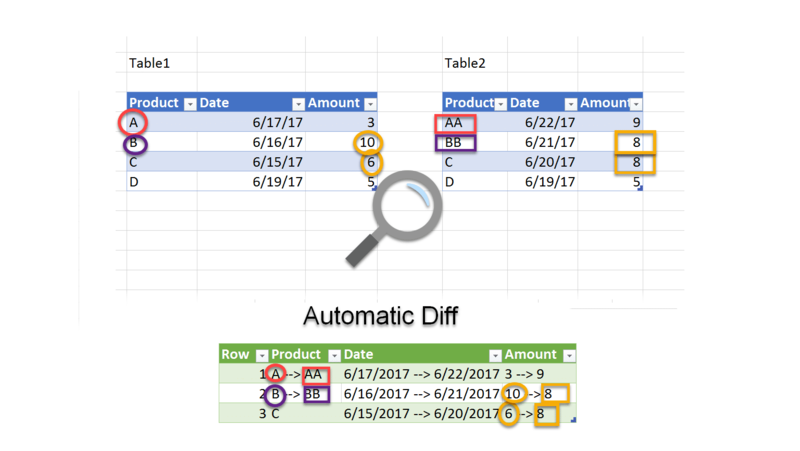 To change the report to analyze ANY other two pages, click Edit Queries, and change the Current Value of First Page and Second Page parameters with your two pages’ object names. Click Close & Apply, and refresh the report. 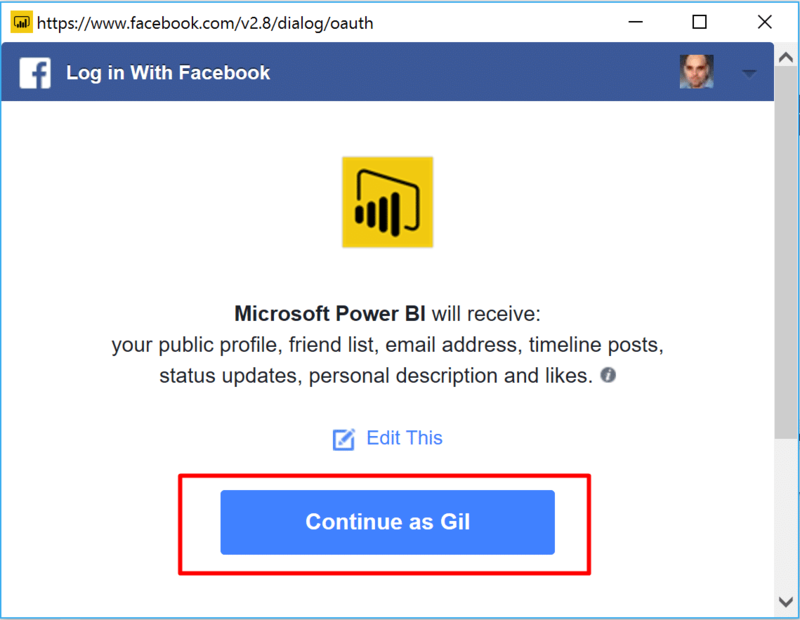 For automatic scheduled refresh in PowerBI.com, publish the report, and set the two highlighted Facebook credentials under Data source credentials (You will simply need to log-in to your Facebook account, and approve Power BI Facebook App). Next, turn on Scheduled refresh. 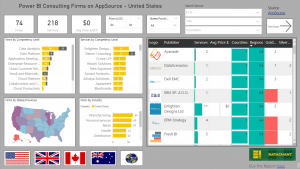 Looking for a single page analysis? 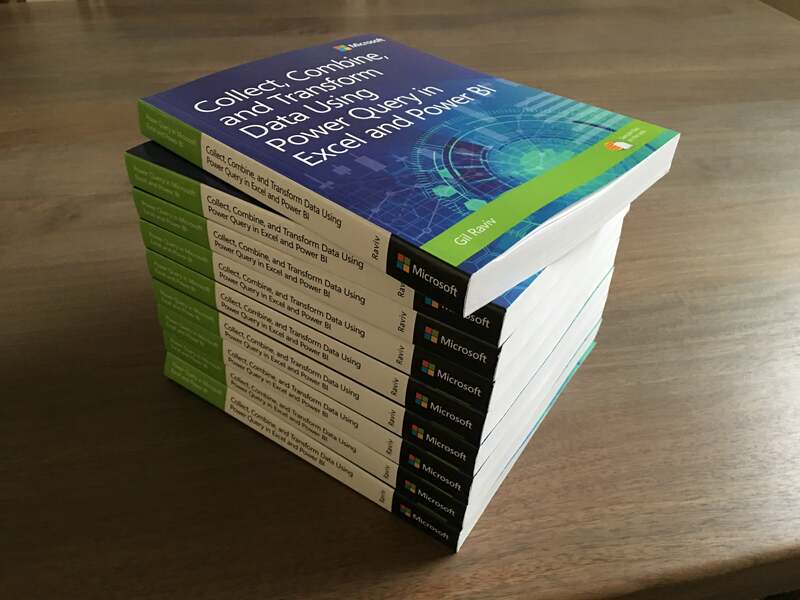 Check out this report. 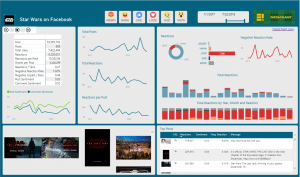 You can combine between the two reports and analyze when the posts receive the highest number of shares in the hour of day and day of week.